One of the most important jobs of historians is to recover and publicise experience that is in danger of being lost. There is now at least one generation of New Zealanders who think that this country’s entire historical relationship with nuclear science has been oppositional. Isn’t New Zealand “clean, green and nuclear-free” and hasn’t it always been so? The slogan is taken to be part of what defines our national identity. But science journalist and researcher Rebecca Priestley is also an historian and knows that the historical truth of the matter isn’t so simple. 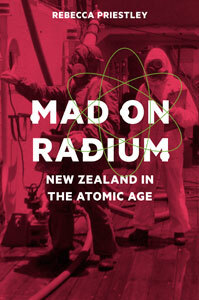 In Mad on Radium – developed from her doctoral thesis – she gives an account of New Zealand’s whole contradictory and often surprising relationship with nuclear physics and its diverse applications. Mad on Radium follows a broadly chronological path. In the first chapter, we are introduced to the applications that New Zealanders made of the newly-discovered radium in the very early 20th century – x-rays, of course (often bombarding patients with what would now be considered unacceptable levels of radiation); radioactive luminous paints, before they were understood to be toxic; and the fashion for offering patients irradiated water to drink at the Rotorua spa. Later, shoe shops featured “pedoscopes” which – until they were banned, as carcinogenic, in the 1960s – amused customers with x-rays of their metatarsi. Of course New Zealanders took pride in Ernest Rutherford’s “splitting” of the atom after the First World War, but at that stage most people would have believed Rutherford’s assertion that the idea of harnessing nuclear energy was “moonshine”. Rutherford’s most direct influence on New Zealand may have been through his student Ernest Marsden, who was head of New Zealand’s DSIR for over twenty years (1926-47) and who, in spite of Rutherford’s assertion, was New Zealand’s chief advocate of nuclear energy. Having set the general scene, Priestley gives an account of those five New Zealand scientists who, largely thanks to Marsden’s influence, got to work on the Manhattan Project during the Second World War, producing America’s first nuclear weapons. After the war, some were also involved in the Chalk River project in Canada, producing the first functioning nuclear reactor outside the United States. During the Cold War, in the 1950s and early 1960s, both the United States and Britain used the Pacific as the testing ground for nuclear weapons. Despite some misgivings about tests near to New Zealand, on the whole New Zealanders didn’t protest. Indeed, without much controversy, New Zealand provided auxiliary – and especially meteorological – services to assist the British Pacific tests. New Zealand ships and men acted as “observers” to British nuclear blasts. As a declassified 1953 British document (quoted on Pg.89) makes clear, such “observers” were intended to be guinea pigs. Nuclear scientists were interested in the effects of radiation on human beings. In this case, some New Zealanders were being deceived about their real role. As Priestley tells it, there were no significant anti-nuke protests in New Zealand until 1962, when the US tested an H-bomb on Johnston Atoll and there were increasing fears about fallout drifting towards New Zealand. It was in the early 1960s that Strontium 90 and Caesium 137 were detected in significant quantities in New Zealand’s water supply (and, naturally, in New Zealand’s milk as well). There was a peak of such contamination in 1965, after which it decreased to very little as Britain and the US ceased their atmospheric tests. In one sense, Mad on Radium tells two separate, but intertwined, stories. One is the account of the growing New Zealand antipathy to nuclear weapons and their testing, and growing reluctance to allow nuclear-armed or nuclear-powered ships to visit New Zealand ports. 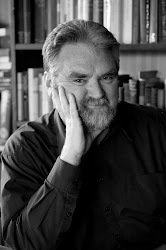 This part of Priestley’s narrative sweeps on logically through the more familiar story of French nuclear tests in the Pacific from the 1960s to the 1980s; the Kirk government sending the Otago into the French test zone in 1973; the Muldoon government inviting American nuclear-powered ships into New Zealand ports after some years of a moratorium on such visits; massed protests over this; the French sinking of the Rainbow Warrior; the withdrawal from ANZUS and the Lange government’s declaration of a “nuclear-free” New Zealand in 1986. One chapter gives a detailed account of prospectors looking for uranium on the West Coast of the South Island after the discovery, in 1955, of an apparently ample uranium deposit in the Buller Gorge. This followed on from Ernest Marsden’s project, in the 1940s, of sweeping West Coast beaches with locally-made Geiger Counters, in search of uranium. Since Eisenhower’s “Atoms for Peace” speech in 1953, there were those who thought that nuclear generation was a safe and inexhaustible source of electricity. Before a DC cable linked the North and South Islands in 1965, and allowed Auckland to consume hydro-electricity generated in the South Island, there were genuine fears that North Island cities would be starved of electricity. In the circumstances, the possibility of nuclear power-generation in New Zealand was taken seriously. Many readers will be surprised to discover how close we came to having a nuclear power plant built on the Kaipara Harbour, to service Auckland. Only in 1978 did a commission of enquiry definitively shelve all plans for nuclear power generation in New Zealand. By this time, knowledge of overseas nuclear accidents, the problem of the disposal of radioactive waste, and the understanding that nuclear power production was easily linked with the production of materials for nuclear weapons – all combined to make the prospect of nuclear power plants unacceptable to New Zealanders. In one sense, New Zealand is not, and never can be, literally “nuclear-free”. Medicine and industry employ radiation, and we still import isotopes. But the “Atoms for Peace” concept was no more acceptable that the testing of nuclear weapons in the Pacific. Mad on Radium is a work of scholarship – amply end-noted and with a detailed bibliography. It reproduces charts of all the American, British and French tests in the Pacific, noting the estimated “yield” in kilotons of each. As much as a book aimed at the general reader can, it explains scientific processes. But it is also a popular history in the sense of being well-illustrated with editorial cartoons, advertisements and other popular evidence of early enthusiasm for radium and for nuclear power. As a good piece of popular science-history writing should be, it is full of surprises. Priestley emphasises how determined Britain was after the Second World War to produce its own nuclear technology independent of the US – partly because Britain was clinging to its “great power” status - and how at first New Zealand scientists were more likely to follow a British lead than an American one. Priestley also notes how much the American “Atoms for Peace” initiatives had a hidden agenda, to wit, the American desire to control and supervise emerging nuclear technologies in other countries. Given Sid Holland’s reputation as the arch-conservative and Anglophile, I was surprised to learn of Holland’s forthright opposition to Anthony Eden’s suggestion, in the 1950s, that the Kermadecs could be used as a British nuclear weapons testing site. Just as surprising, Keith Holyoake, even before Holland retired as prime minister, was already voicing opposition to nuclear tests in the Pacific. I was ignorant of the fact that, for a decade, a nuclear reactor was working at New Zealand’s McMurdo base in the Antarctic (supplying power for an American base). Nor did I know that there used to be a “sub-critical” nuclear reactor in the University of Canterbury’s engineering school. As an historian, Priestley has the commendable quality of not belittling or lampooning the hopes of past years. She keeps in check the temptation to satirise naïve beliefs about radium as a panacea or nuclear energy as entirely beneficial. The enthusiastic New Zealand reception of the 1960 visit by America’s first nuclear-powered submarine USS Halibut, may seem bizarre to us now, but it would be unhistorical to assume that anybody thought it was bizarre then. I have only one niggling criticism of this informative and well-researched book. That is its title. Apparently, as is affirmed a couple of times in the text, a balneologist in 1914 said that the New Zealand public were “mad on radium” in their enthusiastic response to treatments with radon-infused water at health spas. The title is therefore of both New Zealand and historical provenance. But while it might be catchy, to my ears it sounds inappropriately flippant for the book’s topic. I’m sorry something more appropriate couldn’t have been found.